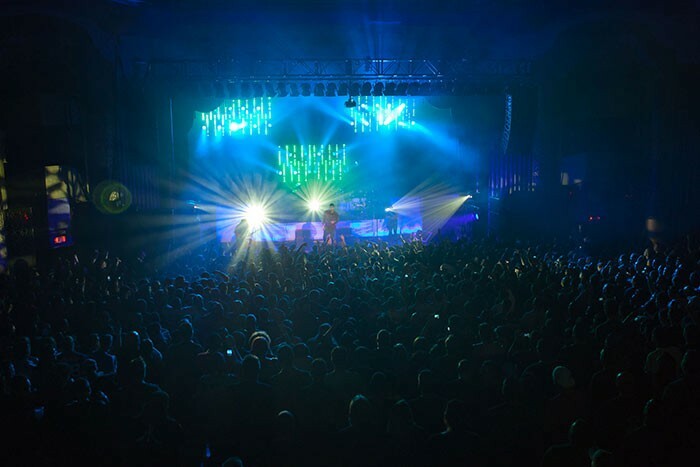 Lighting designer Robb Jibson of So, Midwest Inc. is currently using a Jands Vista L5 to control lighting for Grammy award-winning alternative rock band, Deftones’ latest tour. Having only tried Vista for the first time one year ago, Robb immediately fell in love with its simple, visual interface and has been specifying Vista consoles exclusively for his many tours and productions ever since. Initially struck by the power and simplicity of Vista’s v2 software, Robb comments that "Vista makes it so easy to set up and program a show", adding that "unlike other lighting control platforms, Vista doesn’t require any complex programming or number crunching, which is very appealing." Travelling with their own custom grid package, the Jands Vista L5 is controlling over 150 lighting fixtures on the Deftones tour, including a number of LED battens, moving heads, spotlights and strobes. With extremely limited truck space, Robb requires a control system that can facilitate media server type effects, without the use of a dedicated media server. By utilizing Vista’s powerful Smart Effects engine in combination with the sophisticated Matrix feature, Robb is able to achieve "stunning" pixelmapping effects using the Vista’s onboard features alone – saving space, time and money. After being so impressed with the platform, Robb took the plunge and purchased his own Vista S3, which he uses for pre-production and as a live tracking backup on the road. With timing central to Robb’s design, he really maximizes Vista’s powerful Timeline environment, which allows him to get in at the smallest of details "quickly and accurately". For a band with seven full length albums to date, it’s not uncommon for them to play songs outside of their set list. For this, Robb programs the show ‘on the fly’ - heavily utilizing Vista’s ability to split playbacks - resulting in a show that "looks cued moment to moment, no matter what the circumstances." Concluding, Robb explains that: "Until Vista, I hadn’t found a console that could do everything I want it to. Jands and their exclusive North American distributor, A.C. Lighting Inc. are both incredibly receptive to my feedback, and provide great service and support." The Vista L5 was supplied by Chicago based rental company, Windy City Lighting.